JERUSALEM (Reuters) - Israel’s parliament passed an amendment on Tuesday that would make it harder for it to cede control over parts of Jerusalem in any peace deal with the Palestinians, who condemned the move as undermining any chance to revive talks on statehood. 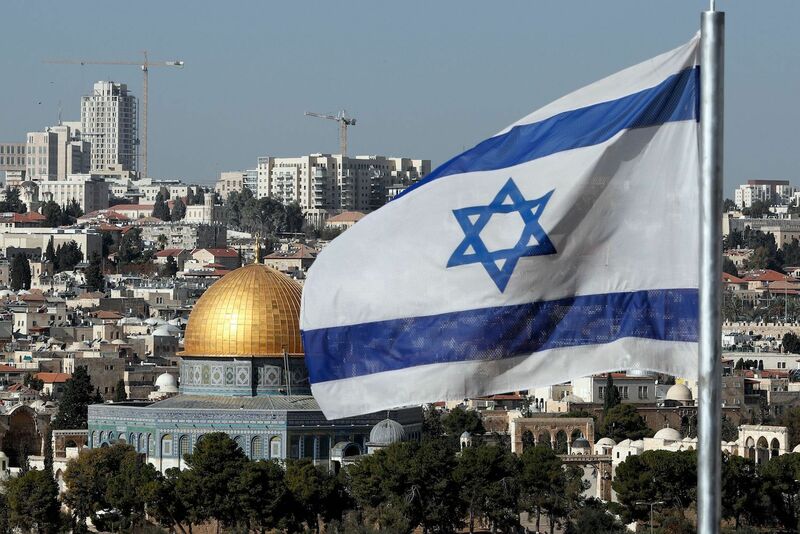 The legislation, sponsored by the far-right Jewish Home coalition party, raises to 80 from 61 the number of votes required in the 120-seat Knesset to approve any proposal to hand over part of the city to “a foreign party”. Last month U.S. President Donald Trump angered the Palestinians, Middle East leaders and world powers by recognizing Jerusalem as Israel’s capital. As home to major Muslim, Jewish and Christian holy sites, Jerusalem’s status is one of the most sensitive issues in the decades-old Israeli-Palestinian conflict. Trump’s Dec. 6 decision sparked regional protests and prompted the Palestinians to rule out Washington as a peace broker in any future talks. Nabil Abu Rdainah, a spokesman for Palestinian President Mahmoud Abbas, described Trump’s policy shift on Jerusalem and the passage of the amendment as “a declaration of war against the Palestinian people”. “The vote clearly shows that the Israeli side has officially declared an end to the so-called political process,” Abu Rdainah said, referring to U.S.-sponsored talks on Palestinian statehood that collapsed in 2014. Israel captured East Jerusalem in the 1967 Middle East war and annexed it in a move not recognized internationally. It says the entire city is its “eternal and indivisible” capital. The amendment, long in the legislative pipeline, was passed with 64 lawmakers voting in favor and 52 against. Opposition head Isaac Herzog said Jewish Home was leading Israel “toward a terrible disaster”. Jewish Home’s leader, Naftali Bennett, said the vote showed that Israel would keep control of all of Jerusalem forever. “There will be no more political skulduggery that will allow our capital to be torn apart,” Bennett said on Twitter. A bid to revive Israeli-Palestinian negotiations led by the president’s adviser and son-in-law, Jared Kushner, has so far shown no progress. Political commentators said Likud’s decision might bolster right-wing support for Netanyahu, who could seek a public mandate in an early election while he awaits possible criminal indictments against him on corruption suspicions. He denies wrongdoing. Parliamentary elections are not due until November 2019 but the police investigations in two cases of alleged corruption against Netanyahu and tensions among coalition partners in his government could hasten a poll. Some commentators, pointing to an existing law that already sets a similar high threshold for handing over territory in a land-for-peace deal, have said Jewish Home was essentially competing with Likud for support among the right-wing base. Will China BRI Cause East West Rupture in EU?